Viking Vets - Charity - Your local vet based at Chevening, Station Road, Henbury, Bristol BS10 7QQ. Viking Vets are committed to helping both animal and other charities. We participate in or run around 12 events per year. 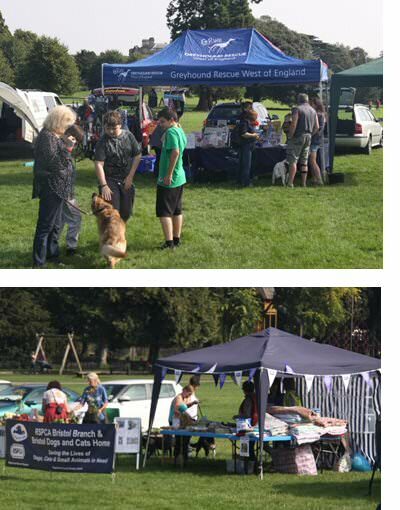 We always try to help when we are asked, and love to be involved in local events. Maria reluctantly does the judging at 3-4 dog shows for charity per year. She feels very sad that she makes more losers than winners, but hopes that the dog owners realise that it is after all a fun dog show, and money is being raised for good causes. During the spring months we do a sponsored walk for a charity nominated by the team. We are so lucky to have Blaise on our doorstep for this. In October we have a week of wearing pink uniforms and money is donated from every consult to a Breast Cancer Charity. We also sponsor the local ‘Book Swap’ in Henbury Village Hall in October where all the money donated goes to Penny Brohn cancer charity. In December we donate hampers to St Mary church, Henbury Village Hall and our Christmas raffle raises money for Secret World, and Bristol and Wales cat rescue.